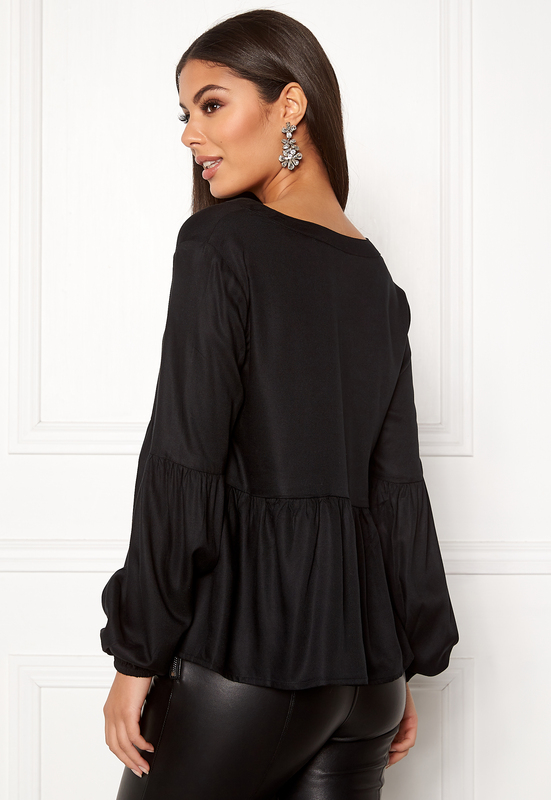 Lovely top from VERO MODA. The top has a lovely viscose quality and is perfect for everyday wear. - Nonstretch, woven quality - V-neck - Fabric-covered front buttons - Balloon sleeves - Elastic wrists Back length from shoulder 60 cm in size S. The model is 173 cm tall and wears a size S. Machine wash at 30 degrees (delicates).